Happy Monday everyone! I have to say that I normally dread Mondays. I am the type of person who habitually has a “Case of the Mondays.” I try to be optimistic but Mondays are just brutal sometimes. Then to make matters even worse, my boyfriend basically has a 4 day work week. He works Tuesday through Friday, so when I’m dragging myself out of bed he’s yelling at me for hitting the snooze button 5 times. So today I have a rather unique polish to my collection, a color that is something that you may not see too often but is a great glowy summer color. 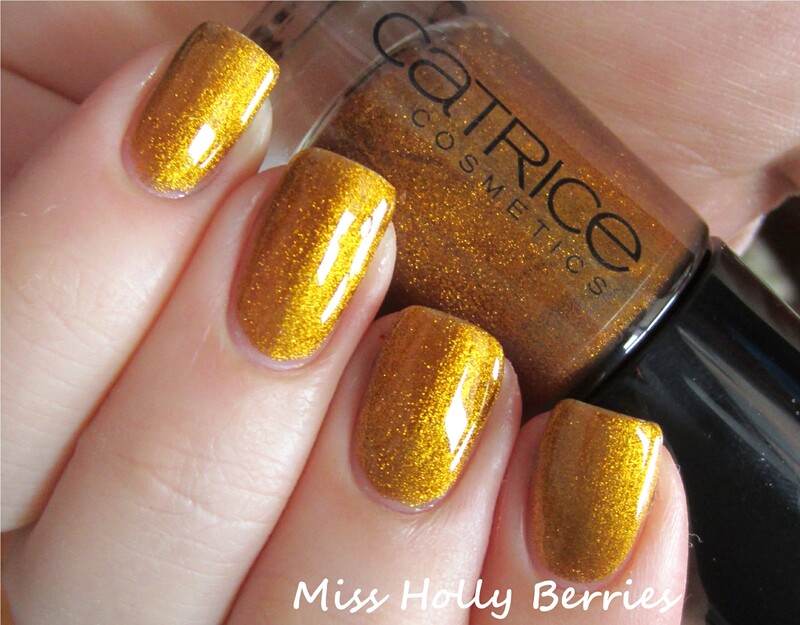 Catrice “Oh My Goldness” is a brass yellow metallic. I can’t really decide what this color is. Is it a mustard yellow brass or is it an orange brass with a greenish tone. Either way, I’ve never seen a polish this color. I don’t think I’ve seen this type of color too much in real life! It’s one of those ugly pretty shades, where it isn’t exactly something that most people would be drawn too but I absolutely love. The formula on this polish was pretty good. The first coat went on pretty patchy and really uneven, but it evened out and became completely opaque in 3 coats. The dry time was pretty good and seemed to just glide on the nail. Overall, I really really like this polish but I know that the color may not be for everyone. I think this might be a fall staple for me! What do you guys think? What are your favorite ugly pretty colors? 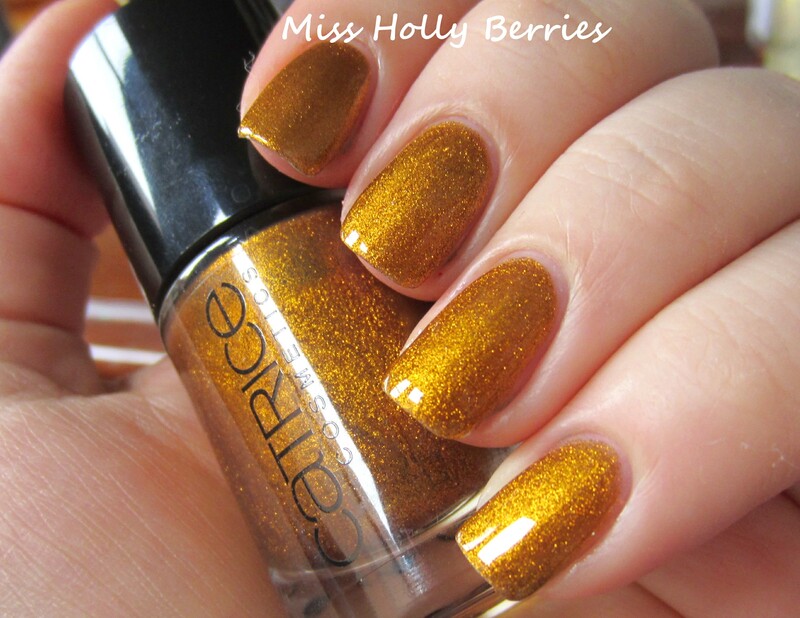 ← Top 10 China Glaze Polishes! So shiny, the color is gorgeous! thanks! i bet this would look awesome on you! That’s gorgeous. You mentioned it looking green, and actually I was reading something about color theory the other day and it said that dark yellows appear green – which I had sort of noticed before but always thought that I was imagining. So maybe that’s what’s going on with this? i never knew that but now that you say it, it makes sense. i notice that a lot with golds and stuff so that might by why this polish looks green to me in some lights! thanks for mentioning it!